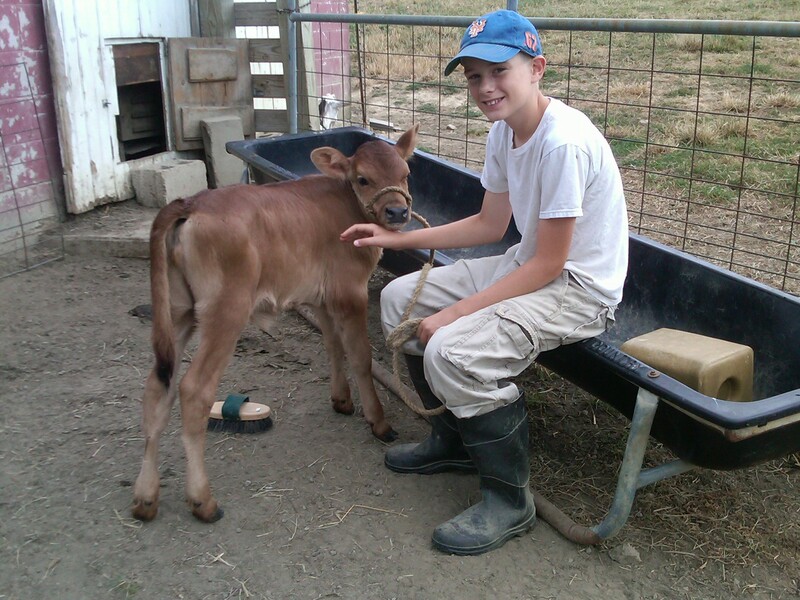 NORMALLY, a calf so much younger than the rest, we would sell. 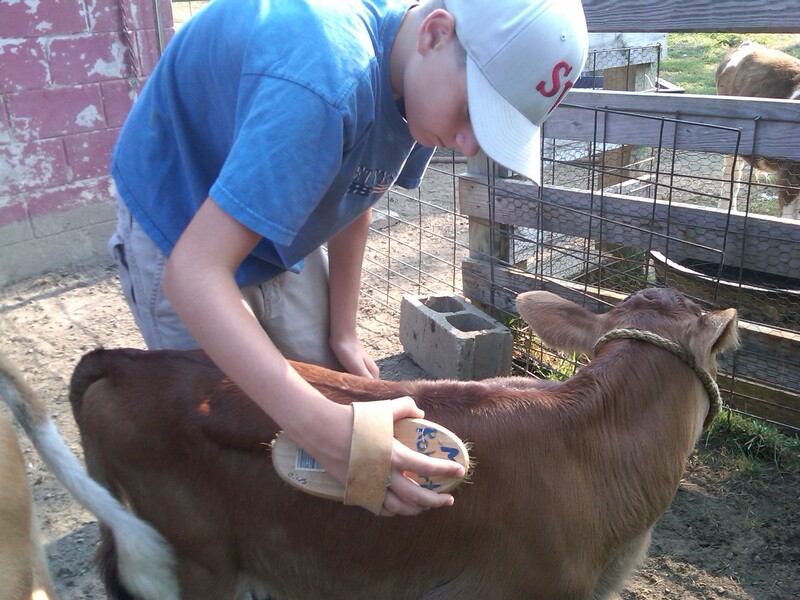 Fiskars automatically fell into that category for Mike & I… HOWEVER, when your son asks if the calf can be HIS, and you’ve already allowed his big brother to have one of his own, you do what you gotta do, lol. 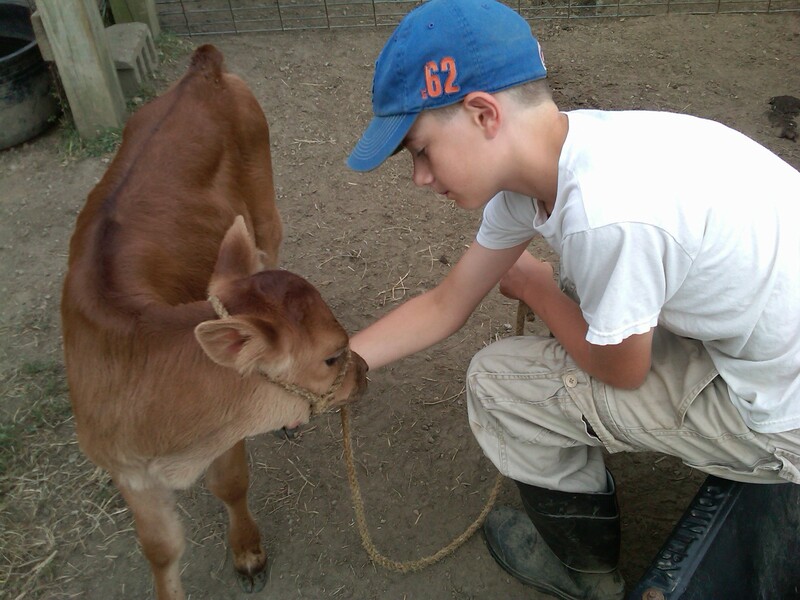 This entry was posted in Family, Farm, Fun, Nature, The Boys on July 20, 2012 by Dawn Roberts. That it really sweet. A very pretty little calf!